VOLV has rolled out Tank Combat: Team Force. It’s a team-based real-time multiplayer online action game dedicated to armored warfare that lets users engage in tank battles across the world. Roland has debuted Beat Sync Maker, a free app that allows users to enhance videos of their music and DJ performances. Users can add visual effects and scene changes that fall in sync to the beat. Beat Sync Maker can detect beats in any video with the use of ABS (Auto Beat Sync) Technology. Scopely and CBS Interactive have teamed up for Star Trek Fleet Command, a real-time multiplayer strategy and role-play title. The free (with in-app purchases) game offers a multiplayer experience to combine role-playing game style progression and real-time battles with enemy ships on mobile devices. Players have the opportunity to build dream teams made up of their favorite characters as well as from different factions. 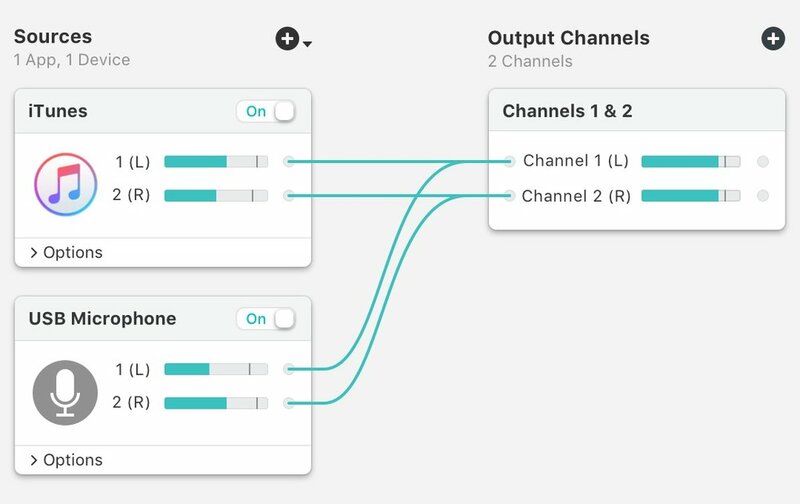 Rogue Amoeba has served up Loopback 2, an update of its tool that enables powerful audio routing between applications and audio devices on the Mac, allowing you to pass audio directly between apps with a few clicks. The app has been simplified, with an intuitive wire-based interface that makes it easy to understand how audio is flowing. New volume controls allow users to adjust any levels, anywhere. Monitoring options make it possible to hear exactly what's needed. Capture of hidden sources, like Siri and VoiceOver, is now possible. Virtual audio devices now support up to 64 channels. On/Off toggles on sources and monitors facilitate temporary adjustments. The user-adjustable wiring system provides more possibilities for configuring audio. The explicit Pass-Thru source provides more power to virtual devices being used to pipe audio with no configuration needed. Loopback runs on macOS 10.11 and higher, with a free fully-functional trial available for download. While in trial mode, the quality of audio passing through Loopback's virtual devices will be degraded after 20 minutes. New users can purchase the unrestricted full version of Loopback 2 for $99, while a $49 upgrade is available to all users of Loopback 1. AutoCrypt requires macOS 10.10 or higher and costs $7. It’s available both from the product website and the Mac App Store. Econ Technologies has rolled out ChronoSync 4.9, an update to their multipurpose app for local and cloud backup, bootable clones and folder synchronizing, as well as its remote backup companion App, ChronoAgent. Version 4.9 offers full macOS Mojave support and adds more than 90 new features and enhancements that focus primarily on exploiting new operating system technologies. The biggest notable addition to these updates is full Mojave Dark Mode support. ChronoSync works with macOS 10.11 and newer. Full working trial licenses are available; purchasing a license costs $49.99. ChronoAgent, which allows any Mac to accept direct, secure connections from any ChronoSync Mac or any InterConneX iOS device to access or transfer data!, also works on macOS 10.10 and newer. Full working trial licenses are available or purchase; registration is $14.99. 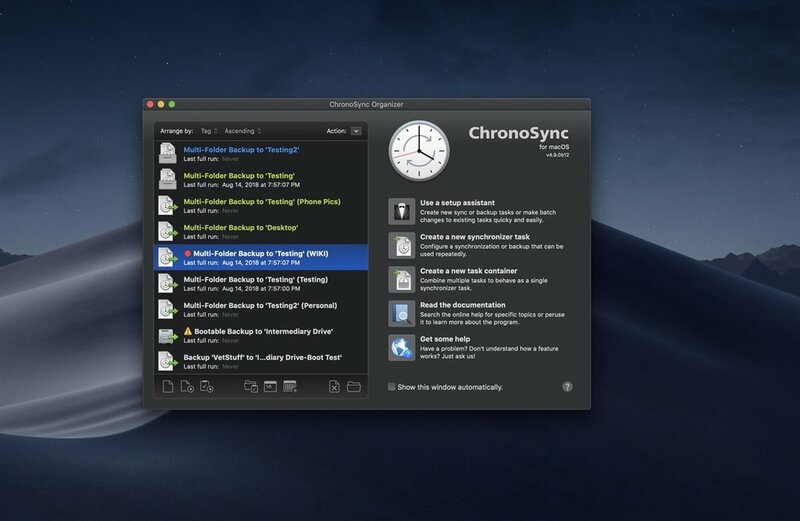 ChronoMonitor is an iPhone app that monitors Macs running ChronoSync or ChronoAgent. It’s available in the Apple App Store for $3.99. 24U Software has released 24U Phone Companion 3.0, a new version of the company's FileMaker plugin for Mac and Windows. 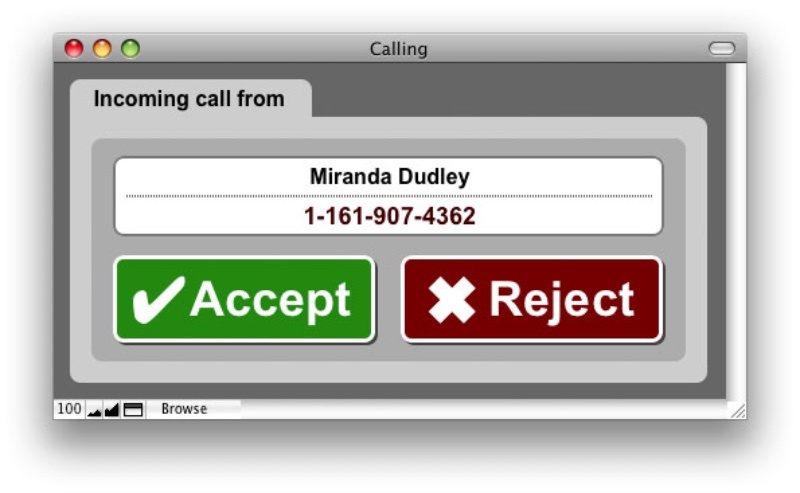 24U Phone Companion enables your FileMaker solutions to interact directly with your phone system. Version 3.0 adds full support for SNOM VOIP phones, support for 48 new phone systems, and script steps for easier implementation. A 14-day demo is available for download. Licenses for 24U Phone Companion start at $79 per user and $840 per switch. Volume discounts are available for five or more users. Existing customers can upgrade to the new version at 30% off the regular prices, and until Dec. 10, customers can upgrade at 50 % off the regular prices.